All business owners really should understand how to do bookkeeping, if they are handling their own records. Most just pick up some software and hope it will do things correctly for them, without their ever having to learn the rules of accounting. That doesn’t quite happen. The same rules apply to tax professionals who do bookkeeping and business tax returns. It is incumbent upon all such professionals to learn exactly how balance sheets and profit and loss statements work – and how to make entries into a bookkeeping system so the resulting information is not gibberish. Rather, to make the information meaningful to the business owner. All too often, I have seen records, even from bookkeepers being paid as much as $50 an hour, that are shocking. Loan payments are booked as expenses. Owners’ deposits into their own business show up as income. When the business owner does this kind of thing, I can understand it. But when a bookkeeper or tax pro does? That is malpractice. BeanCounter.com – free, fun, easy to understand courses on bookkeeping. QuickBooksPro Advisor – They provide software, courses, certifications and REFERRALS! American Institute of Professional Bookkeepers – Certification, training, potential referrals. 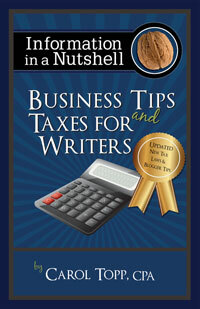 And remember, you can find answers to all kinds of questions about bookkeeping and other tax issues, free. Where? Where else? At www.TaxMama.com. Thanks TaxMama! I’ve also recommended all of these programs to business owners and bookkeepers.